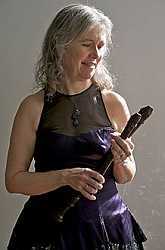 Based in London, Nancy Daly was the first recorder graduate from the Royal College of London and was previously the Recorder and Early Music Specialist at Wells Cathedral School. She specialises in the Suzuki method. She provides teacher training for the Suzuki Recorder Method.